The publisher says… The squirrels that live in North America are a diverse group of mammals that range from ground-dwelling squirrels to flying squirrels that flit from tree to tree in the night. 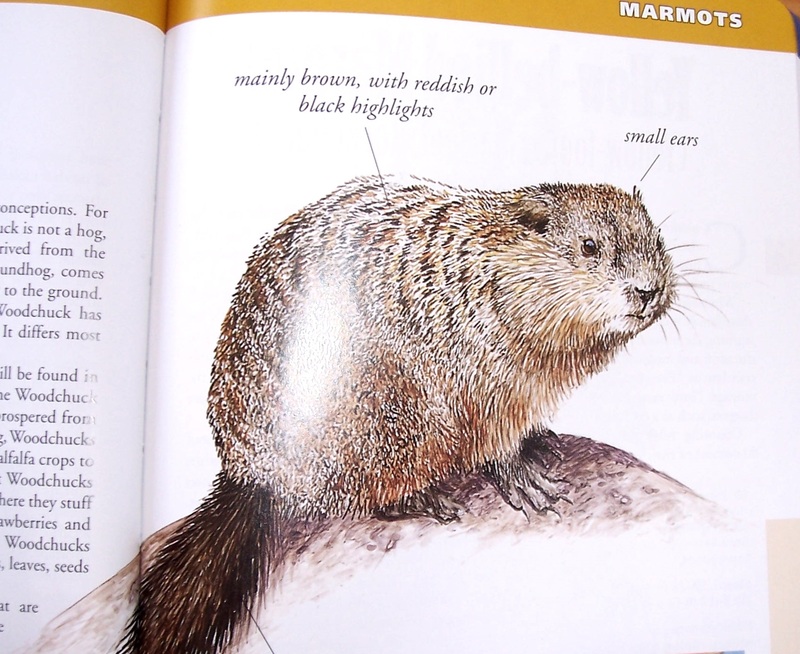 This book will help identify and understand each species of squirrel you encounter. This book includes 66 squirrels that inhabit the continent featuring color illustrations and range maps accompanied by notes on behavior, habitat and ecology of each species. Eva says… Now THIS one is a GROWNUP FACT BOOK, so it’s hard, but it’s good, and I figure I want to know this stuff anyway, and plus it’s good for homeschool, so there’s all that. And it’s got GREAT FACTS about SQUIRRELS. And you know, only a few of these guys are in VERMONT, but that’s O.K. Because then when I go to other places I can tell what kind of squirrels there are THERE. So THAT’S useful. I think that EVERY page of this one has a real amazing fact that I didn’t know on it. Like some squirrels eat the ends of their nuts off so that they don’t grow into trees. And then there’s the whole thing that GROUNDHOGS are related to squirrels!! I had NO idea. But when I look at groundhogs, they kind of look like real big squirrels. So THAT fact is useful, too! This one has a LOT of big words in it so you just need to read it with the internet or a dictionary or something. But you’ll figure that part out. This one was on the shelf at Bear Pond Books and I had my eye on it for a LONG time and now I bought it and I’m glad I did. Because it’s a real good one! O.K.? Eva Kelly’s Book Of Book Reviews is now available in print! 120+ children’s book reviews written by five-year-old avid reader Eva Kelly (with help from her parents and author Max Harrick Shenk).